Pro series Mill Upgrades - If you're an existing customer with a larger 2" diameter roller series mill, and you want to upgrade to the new knob design, we can send you new design frames. Order knobs, and fasteners separately for a complete upgrade kit. 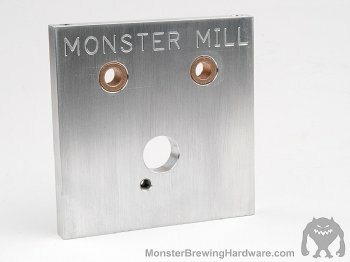 For existing customers with a 2" diameter roller mill only, NOT for DIY projects. If you are willing to drill and tap two holes (1/4 - 20 threads) in your existing frames, we offer knobs by themselves and can supply you with a template to show you where to drill so you can upgrade your existing Pro frames to the new design.